Young Ariel Razavi’s story is a unique and inspiring testimony to the life-saving ability of heart surgery. At birth, little Ariel’s aorta was one millimeter thick, ten times smaller than the typical aorta. This defect hindered blood flow to Ariel’s body, alerting the attention of his medical staff, who called on Professor Alain Serraf, President of the Edmond J. Safra International Congenital Heart Center in Sheba’s Edmond and Lily Safra Children’s Hospital. Serraf explains that had Ariel’s left heart chamber been undersized, he would have been unable to operate on the child in order to restore full function to the heart. However, this was not the case, and Serraf was ready to meet the challenge of restoring the little boy to good health. Although such a narrow aorta is rare in any case, it is exceptionally rare to find the condition in an individual with a normal-sized left heart chamber. In fact, in his twenty-eight years of experience, Serraf had seen a case like Ariel’s only once before. He estimates that a child with such an unusual condition is born in Israel just once every five years. The surgery was complex, and understandably harrowing for Ariel’s anxious parents, but it was performed with great success. When Ariel’s family returned with him to the hospital for a follow-up visit, they informed Professor Serraf that they were now planning their little son’s Brith ceremony, which had previously been delayed because of his tenuous medical condition. Serraf gave the family his blessing. Then, Ariel’s parents surprised him by asking him to become their son’s godfather. Deeply moved, Serraf agreed immediately. 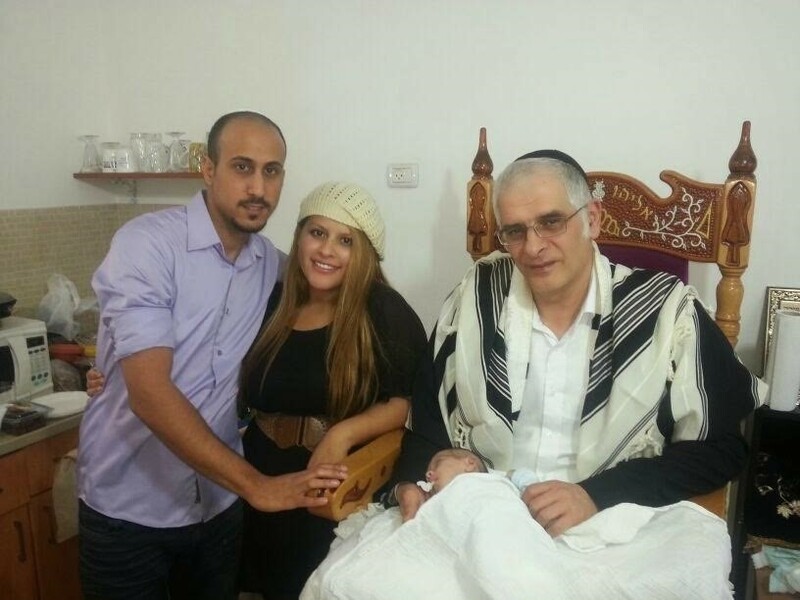 For Ariel’s parents, Professor Serraf—recommended to them by Rabbi Elimelech Firer—is like “an angel…descended to earth,” according to Ariel’s father. The little boy’s family will forever be grateful to Serraf, who restored their child’s health and thereby restored their happiness. They feel that they will never be able to fully repay him for the gift he gave their son—a second chance at life. But Serraf begs to disagree. Having emigrated in 2013 from France, where personal relationships between physicians and patients is prohibited, being named Ariel’s godfather is an honor far higher than any he’s ever received.